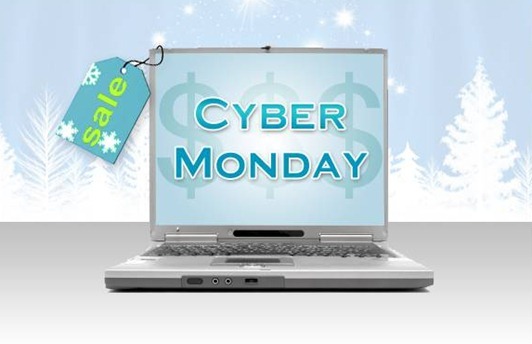 Cyber Monday is the online version of Black Friday when many online retailers prove great discounts in their efforts to spur online holiday sales. We have been covering on all the latest juicy Cyber Monday deals from wherever we can find the best from all over the Internet. All major online retailers like Apple, Microsoft, Dell, HP, Walmart, Kmart, Amazon and Best Buy stores have great offers which you can take advantage of from their online sites, without having to actually go and get in line in the store just to get the discount you are looking for. Here’s quick roundup of all the Cyber Monday 2009 deals, discounts and bargains that we have covered in the last few days. Free shipping offer by Apple Store on selected items. The online American Girls stores are offering discounts on items like American Girl Trading Cards, Kit Kittredge: An American Girl Original Motion Picture Soundtrack, Logo Sweatshirt for Dolls, Samantha: An American Girl Holiday Video, Doll Hair Studio DVD, Bitty Lambie Tee for Girls and many more items. You can find complete details on all these items by visiting the online store site here. You can follow us on twitter or join our facebook fanpage to keep yourself updated on all the latest Cyber Monday Deals.